The Acting Chairman of the Economic and Financial Crimes Commission (EFCC), Ibrahim Magu on Wednesday stated that about 60 percent of looted funds were still hidden in Nigeria. 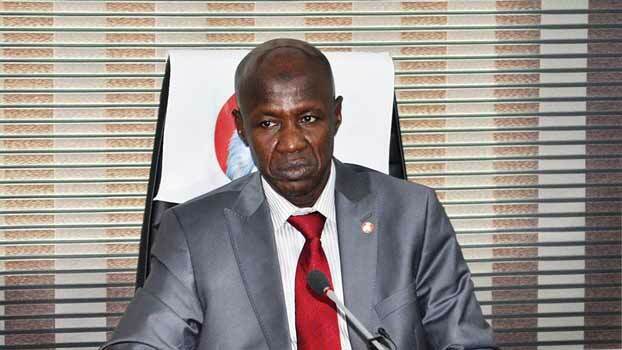 Speaking during an interactive session with journalists at the Commission’s head office in Abuja, Magu said the funds were still being kept in both foreign and local currencies, adding that the EFCC was collaborating with Bureau de Change operators to trace such funds. While lamenting that the funds were being kept in unorthodox storage facilities, the EFCC boss appealed to Nigerians to take advantage of the Federal Government’s whistle blower policy which helped the Commission to recover over $40 million at a luxury apartment in Ikoyi, Lagos. He called on law enforcement agencies to collaborate with the agency in the fight against corruption and in its efforts to recover all hidden funds.